For starters both are tree bark from the same family of plant i.e. laurel and even the same genus i.e. cinnamomum but not from the same plant, even though cinnamon and cassia are related, both should not be treated as same spice as both are different in nutritional and health standpoint, also the coumarin content of both the spice is different. Coumarin is a naturally occurring chemical compound from the benzopyrene family which is present is cassia and cinnamon. High amount of coumarin consumption can cause health risks. The level of coumarin presence in cinnamon is much lesser and lower than the amount that could cause health risks, on the other hand cassia has higher percentage of coumarin presence in it which may pose health risks to individual who consumes cassia on a regular basis. The coumarin level in cassia varies considerably depending upon the climatic condition and respective sub–species, whereas in Ceylon cinnamon the level is just traces. Scientifically there is only one true cinnamon which comes from the barks of the plant named “Cinnamomum Zeylanicum” and it is grown in Sri Lanka and some other part of Asia like South India and Burma, it is of the finest quality famously called as “Ceylon Cinnamon”. As per FSSAI (Food safety and standard authority of India) Cinnamon (Dalchini) is the inner bark of trunks or branches of Cinnamomum Zeylancium Blume. Aroma- The aroma of cinnamon is fragrant and delightful exotic bouquet. Flavor- The oil also called as ‘cinnamon oil’ is huge contributing factor in the taste of this spice, the flavor is warm, aromatic and sweet. Texture- The feel of cinnamon bark is smooth and even. Color- The color of cinnamon is light brown to tan. 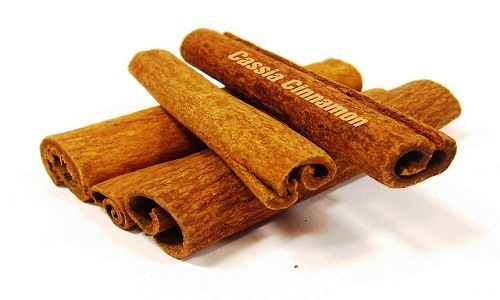 Cassia is often misnamed and mistaken as cinnamon but it is not, both are two different spices. Cassia is sometimes also called as Chinese cinnamon, like cinnamon cassia is also a bark of a plant which native to Burma not like cinnamon which is native to Sri Lanka, cassia is also cultivated in China, Vietnam and Indonesia. As per FSSAI Cassia (Taj) which means the bark of trees of Cinnamomum Cassia (nees) ex blume, Cinnamomum aromaticum (nees) syn, Cinnamomum burmannii (C.G.Nees) blume and Cinnamumum loureini nees, is the edible portion of the tree is bark. Aroma- The aroma is almost similar to cinnamon but stronger and more pungent. Flavor- The flavor is sweet yet peppery too much of cassia can spoil the taste of any dish. Texture- The surface of cassia is rough and uneven. Color- The color of cassia is reddish brown to dark brown. How to differentiate between powdered cassia from powdered cinnamon? The process involves treating the powdered bark with Tincture of Iodine, the effect is less visible if the powder is good quality cinnamon (no mixture), but when cassia powder is treated with the same, a deep blue tint is produced from the mixture, the intensity of the coloration depends on the proportion of cassia. Nice article. Love the part about testing between Ceylon Cinnamon and Cassia Cinnamon using Iodine. Nice article! Cinnamomum Zeylanicum where can this variety be found in India? good insight. since both are available in rolled form( pics in websites), how to differentiate.All the sellers claim it to be cinnamon. cinnamon is two or three shades lighter to cassia, but can only be known when seen together. delicate) , sweet taste and tan color. 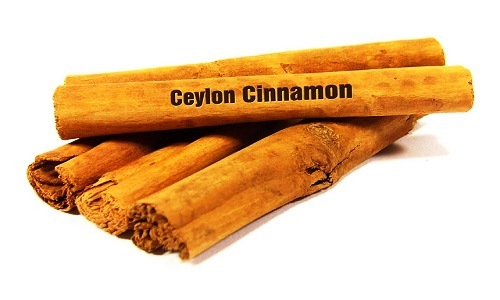 If you get very strong smell that is not PURE CEYLON ALBA CINNAMON STICKS, PURE CEYLON ALBA CINNAMON STICKS should be Mild,sweet and delicate.